Space isn’t just the final frontier; it’s also the most hostile. There’s as much a potential for lethal danger as romantic exploration, which is why aerospace engineering places such a premium on quality construction and safety. However, for all the careful planning that goes into spacecraft construction, emergencies still happen. After all, space travel hinges on humans riding pillars of fire at incredible speeds until they slip loose of Earth’s life-giving grip. When repairs need to be made, many of the process we take for granted, including welding, are heavily complicated by the lack of gravity within a spacecraft, and the freezing, looming void of space on the other side of the wall. Georgi Shonin and Valeri Kubasov, Russian cosmonauts who crewed the Soviet Soyuz 6 mission to space in 1969, were the first to experiment with welding in space, using a versatile tool known as the Vulkan. Shonin and Kubasov were also the first to experience just how dangerous space repairs can be. The pair tested three welding processes to see how they would function in a depressurized environment: electron beam welding, low-pressure compressed arc welding and arc welding with a consumable electrode. The Vulkan Welding Unit was divided into two sections—one containing the command and power systems and the other holding the three welding devices. During the test, Kubasov almost burned through the hull of the Soyuz 6’s living compartment, a mistake that would have hurled the pair into space without spacesuits to face the final 30 seconds of their lives. Fortunately, the hull remained intact, but with a warning about the harshness and complexity of welding in space. The weld quality of the titanium, aluminum alloy and stainless steel samples was comparable to that found on Earth. In the more than 40 years since the Soyuz 6 mission, space travel has grown increasingly sophisticated, offering a great deal more protection against potential dangers while welding inside and outside the craft. Engineers with groups like NASA construct space vehicles with materials specifically chosen to overcome the rigors of space travel, especially ceramic and aluminum. 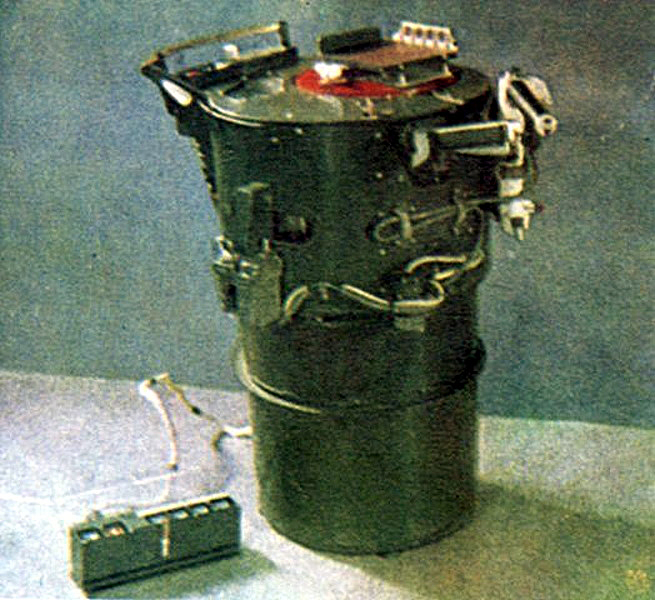 Although Soyuz 6 demonstrated that multiple processes could work in space, the experiments also illustrated the challenges that traditional welding processes face off-planet. The structure, composition and quality of a weld is extremely dependent on the distribution of temperature in the weld pool and the distribution of molten materials as the weld is formed—conditions that are made difficult in space regardless of whether you’re inside or outside a ship. Even simple things like spatter present a major problem when down and up are meaningless concepts. In short, even if a process can function in space that process isn’t necessarily an ideal solution, especially when welding must be done in a hard vacuum. Although many standard welding processes can work inside a spacecraft, versatility is critical when engineers for groups like NASA and SpaceX are outfitting their vehicles. 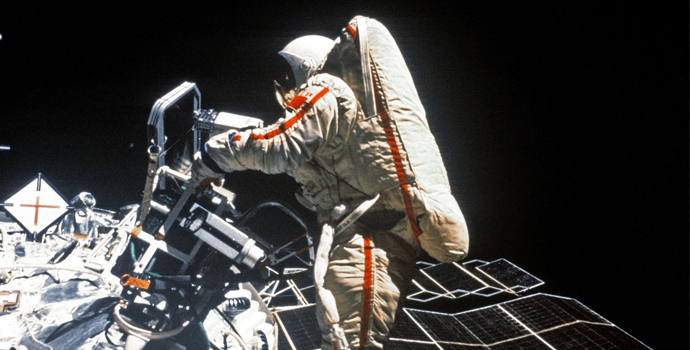 In 1984, Svetlana Savitskaya and Vladimir Dzhanibekov of the Soviet Union used a hand-held electron beam gun to conduct welding, cutting, soldering and spraying experiments outside of the Salyut 7 space station. Remember, spacecraft must contend with limited room and the need to remain as light as possible for launch. Thus, the ideal weld process must work well both inside and outside the craft in order to justify including the necessary equipment. For example, although stick welding may seem like an easy, flexible solution for making emergency repairs, any welding that must be done in a hard vacuum would make striking an arc difficult. Processes that rely on carefully balanced shielding gases would also be difficult to manage, as gasses behave differently in zero gravity and airless environments. Welding power sources are also a problem, as the traditional gasoline or diesel engines present astronomical difficulties in orbit. Portable generators pull surrounding air through the machine for cooling, which is impossible in space. With lightweight aluminum acting as the primary metal in space construction, TIG may seem like an obvious choice, yet the dexterity and precision that make TIG such a beneficial process also limit its utility in the constant freefall of space. Electron beam welding, which requires a vacuum rather than shielding gasses to protect the weld, has potential utility when welding outside of the spacecraft, but creating an isolated vacuum within a spacecraft makes interior welding a problem. Originally developed by NASA to more easily access and repair Space Shuttle engine components, the handheld torch is now available for commercial application. Today, a tool called the variable power handheld laser torch, designed for welding and brazing metals, offers a compact and efficient means of enhancing weld accuracy, decreasing heat-affected zones, and allowing for easy maneuverability. The device is also easy to use, offering a simple learning curve for astronauts already bogged down in years of training. 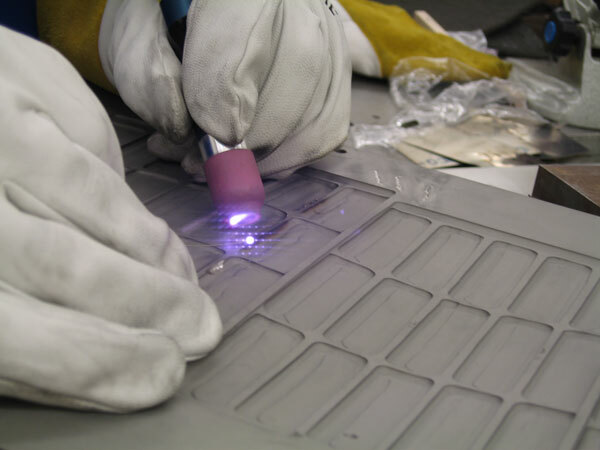 Laser beam welding requires neither shielding gasses nor a vacuum (as in Electron beam welding), and has been recommended by NASA scientists as early as 1989 for emergency repair kits on spacecrafts and stations. Welding with a laser allows for precise control of the weld pool temperature, which assures the formation of a clean and strong weld without excessive melting or polluting of the melted metal. The torch was specifically made for repairing space shuttle engine components, although versions of the device have also been developed for commercial markets. 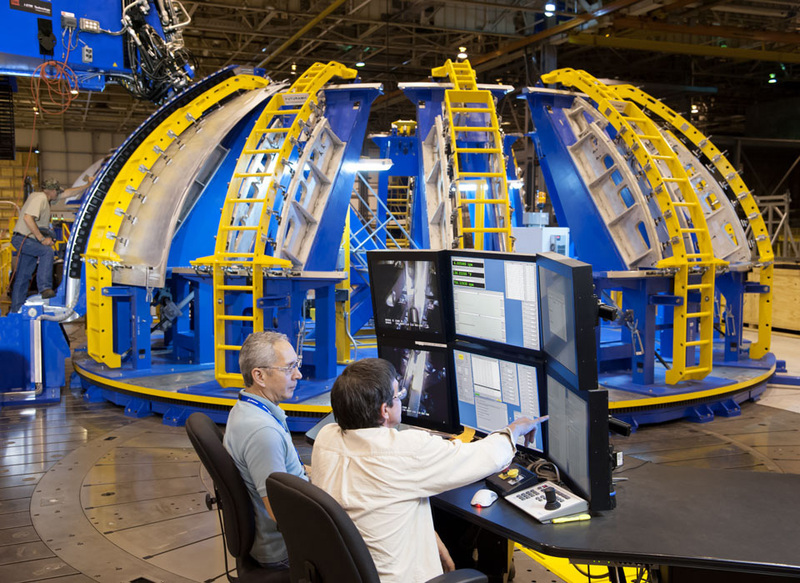 Boeing’s Gore Weld Tool is one of several advanced friction stir welding tools used by NASA to produce the Space Launch System, the largest, most powerful rocket booster ever built. Despite the advancement of welding technology and its role in extraterrestrial emergencies, the best way to prevent problems is to avoid them in the first place. To that end, NASA, SpaceX, and other private organizations are also developing advanced new techniques in terrestrial welding, especially involving the friction stir process. The hope is that by building a sturdier ship the first time around, the difficulties of welding in space can be avoided by simply making emergency repairs unlikely and unnecessary.